With the whole crew finally sober again: we wish you all the best for the new year, may your MSX activities prosper! At least for us it will be a special year; the msx.org domain will celebrate its 15th anniversary in 2011, but more importantly: we will launch our new website. "I have heard that before" you may think, and that's right. And so has the crew, since 2007. But this year.. will be the year! All the news shows on tv have done so in the past few weeks, so we'll do it too: a summary of MSX news from 2010. There was a certain video craze going on, with one speedrun uploaded to YouTube after another. This is clearly where emulators shine, the combination of video recording and save states proved to be a winning horse. It gave us videos like SD-Snatcher, Ikari Warriors. R-Type, Metal Gear 2 and Ys 1. We were also presented with tweaked games, such as Starship Rendez Vous and Playball 3. meisei 1.3.1 was released, while a development version of openMSX introduced the reverse timeline feature. The yearly game development contest MSXdev opened its doors again, and in case you forgot: the deadline is this month, gentlemen! Former MSXdev organizer viejo_archivero released the brand new MSX1 game Invasion of the Zombie Monsters which was converted to Spectrum, shortly after. Mapmaker only_69 keeps exploring the world, and occasionally releases a large bag with maps. Thanks to KdL's work, our 1chipMSX computers remain up to date. More news has come from former Dutch MSX magazine MCM/MCCM; its publisher Wammes Witkop started scanning his magazines in order to put them online! A new version of the MegaFlashROM SCC+ popped up, as well as openMSX 0.8.0. In June, a preview of the upcoming game Deva was put on YouTube. Deva is a fast multilayer platform game by Norakomi and his team, of which a website would be launched near the end of 2010. With so many active MSX fans around the globe, new hardware projects are never far away, such as OPL4 Shockwave, Powergraph (containing a v9990) and PlaySoniq. The latter is cartridge with a lot of fun chips on it, such as an FPGA, a SEGA Audio/video chip and the famous SID chip from our beloved neighbours in retroland. 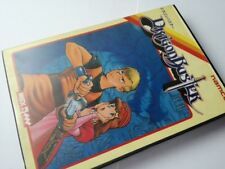 Two new games appeared in the second edition of the Passion MSX2 contest, made by TNI and Infinite, who also competed in the first edition and both used jails and criminality as theme for their games this year. The results have yet to be made known though. More gaming activity in form of Goonies 'R' Good Enough, QBIQS and Pengo, while the - by then - wildly popular Invasion of the Zombie Monsters was made available for free. Demo fanatics could read about some history in a Demoscene Research Thesis. Unfortunately, the well designed online magazine Retroaction had come to an end. 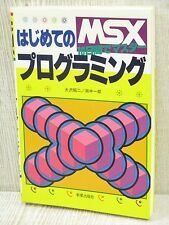 A pity, as in each edition MSX was mentioned. More MSX in the media in form of Assembly TV and an interview with Konamiman. Halfway September, PassionMSX halted its editorial activities (though there has been some activity, recently) and for a brief period of time there was some speculating for what sum of money the www.msx.com domain would change ownership. Not a video, not a big studio remix, but a string quartet performing Metal Gear themes, points for originality on this one! More music from John Hassink who presented a collection of Moonsound game rearrangements, and Konami announcing the Gradius Ultimate Collection. After quite a bit of radio silence, Bazix has formally quit its activities. After the website MRC moved to a new server, we've put it to the test by offering Wolf's latest rearrangements: Technotris and Randar 3, the latter game is in the process of being translated into English (it even hit the media)! In total, 688 members were active on the MSX Resource Center in 2010, which is slightly more than the 663 active members we had in 2009. Prolonging his status as most active MRC member of the year for the fifth time in a row, we have a special present for manuel in store, to be handed out during the MSX fair in Nijmegen. Our thanks go out to him all the others who contributed to the MRC. Next year we will also reward a prize to the most active member at the MRC. We hope you will keep visiting and enriching the contents of our website for a long time to come! From all of us here: cheers, and happy MSX'ing! 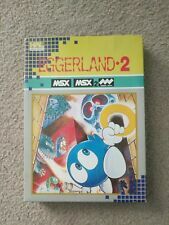 2010 is my best MSX year ever. Thanks to all that helped me out with my, sometimes noob-ish, questions here on MRC, IRC and by mail. Special thanks to ARTRAG for teaching me the design concepts for game development. "I have heard that before"
Bunny new year @ all! Are there also statistics for lowest rated users? Anyway, hope to see y'all @ Nijmegen!